Dozens of Raging Bulls were on the loose in Singapore. Singapore loves supercars. We have brought you time and again photos and videos of the Southeast Asian city&apos;s best models, such as Pagani Zondas, Ferraris and more. 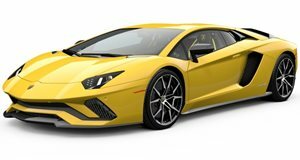 Here we have a gathering of Lamborghinis, ranging from Gallardos to Murcielagos and even the Italian company&apos;s latest model, the flagship Aventador. Event-goers were treated to the boisterous ensemble that is the Aventador&apos;s 6.5-liter V12 engine. The Aventador is capable of sprinting from 0-60mph in 2.9 seconds and can reach a top speed of 217 mph. Check out the gallery of the Lamborghini gathering in Singapore below.